Canna Local History Group | John Lorne Campbell "Fear Chanaidh"
In his history of Canna, John Lorne Campbell provides little by way of explanation as to why he had been tempted to buy a remote Hebridean island at a time when Europe was on the verge of war. His thoughts are revealed more clearly in his correspondence with the Trust, when the case for acquisition was being made to the National Heritage Memorial Fund. Ray Perman has made the case for John Lorne Campbell having believed that Compton McKenzie would have shared the cost of acquisition, having collaborated with him while on Barra over a number of ventures, waging a joint war against the authorities for improvements to be made to island life. Whatever agreement John Lorne Campbell thought had been reached did not materialise, and financing the sale imposed a considerable personal burden; the combined costs of the sale of the island, and for the stock that was valued, amounted to around £15,500. Although this represented a considerable fall in the value of the investment made by Robert Thom, and reflects the economic problems faced by many landowners defeated by heavy taxation during the 1930s, it was well above the level that John Lorne Campbell could finance comfortably. For many of the improvements that were carried out in the coming years there were few grants available, and the costs had to be met largely by the proprietor. Ultimately, the high levels of investment and maintenance required to keep the island going would drain not just his coffers but his energy, and force the sale of the island to the Trust. John Lorne Campbell and Margaret Fay Shaw shared a number of common interests, not least a passionate interest in the Gaelic heritage of folk songs and traditions, of which they created an inventory of sound recordings. 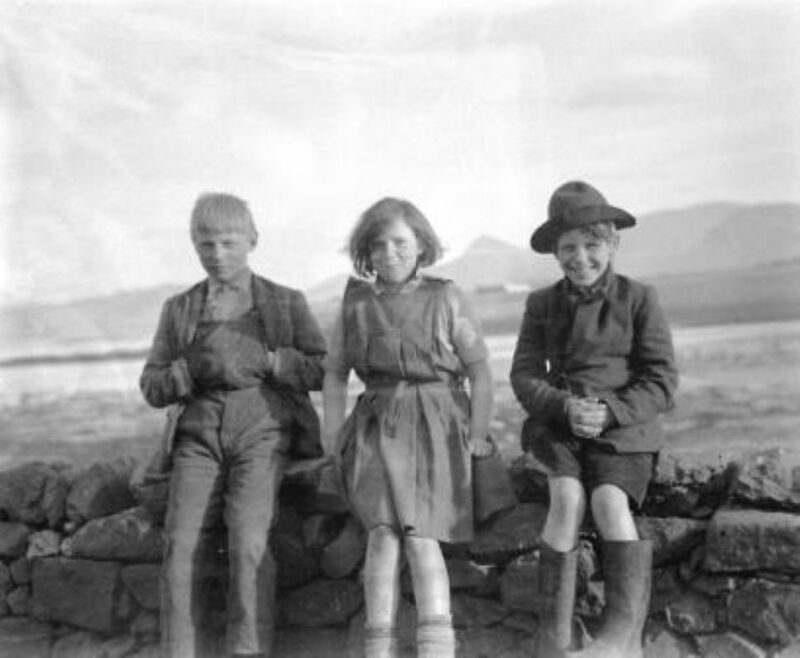 Margaret was also a distinguished photographer, and her record of a dying way of life in the Hebrides and on the west coast of Ireland in the 1930s provided an invaluable archive. She was also a gifted pianist. John could envisage Canna House as a depository of a growing archive of cultural research, and for his growing natural history collections. Using his education at Oxford, where he studied at the School of Rural Economy, he could run Canna as a model farm to provide a baseline income, while establishing a wildlife sanctuary run on nature conservancy principles. Margaret, in From the Alleghenies to the Hebrides tells us ‘his ambition was to find a farm he could bring back – to make it bloom, so to speak’. At one level, the acquisition could be regarded as a self-sustaining social and economic experiment, and in this John Lorne Campbell can be regarded as a pioneer, many years ahead of his time. On taking possession of Canna House, the mouldy Victorian possessions of the Thoms were jettisoned unceremoniously. The fruits of the ‘shoot on sight’ policy towards the birdlife of the islands - in the form of glass cases containing stuffed and mounted specimens - were destroyed, leaving only a few remaining. The Campbells also attacked the ivy which had been allowed to grow on the house walls which Margaret considered gave the house a melancholy appearance. Their own furniture was introduced, a distinctive mix of Pennsylvanian pieces and antiques from the Inverneill ancestors, giving the property a unique flavour. Over time the house became a repository for learned books, research papers, sound and photograph archives, and the natural history collections; it also became a repository and a haven for the many distinguished guests from the couple’s international connections in academia. Increasingly the house would be cluttered with some highly personalised trivia, which would be displayed and interspersed among the more important possessions. Hugh Cheape said once of the house, with great perception, that John and Margaret had recreated the typical Highland tacksman’s house of the eighteenth century, a model which had long disappeared elsewhere. Study of the regular correspondence between Margaret and various seedsmen in rural England reveals that she had a considerable interest in the garden of the mansion house, and bought plants and fruit trees for it regularly. The extent to which the reliance on the gardener to look after the garden as it had been in the past is shown in a photograph taken during the hardship of the Second World War. John extended the planting schemes begun by the Thoms to the east of the house, and he planted stands of trees at regular intervals from the late 1940s onwards, with the intention that the larch plantations would make a financial contribution to the islands’ needs. Rental records from when Canna was sold in 1938, and shortly thereafter, provide an interesting insight into the roles and occupations of the greatly diminished island population. Some were listed as tenants without landholdings. Crofters would often have other ‘official’ occupations, such as wreck receiver, relief lighthouse keeper (a lighthouse was erected on Heiskir in 1904), postmaster and piermaster. Other listed occupations might include schoolmistress (although this appointment was outwith the control of the proprietor, and would not appear on the rent records) and the gardener at Canna House; other occupations were associated with farming and fishing, such as farm grieve, horseman, cattleman, and a lobster fisherman for which other crofters would crew the boat. A croft on Canna, let with the house at Doirlinn, was improved with a grant and operated as a guest house. Without similar levels of personal wealth as Robert Thom, John Lorne Campbell could never have invested in the houses on the islands in anything like the same way: if improvements were needed, or a new replacement house was required, grants would normally be available and were applied for under the relevant Agricultural and Crofting Acts. While improvements were carried out, and new houses had been built by the former proprietor on Sanday, it is apparent that the state of the older properties on the island had deteriorated considerably from when Robert Thom had invested in the improved cottages at the time when the island was passed to the Trust. Some of the shells of the old crofthouses were reduced to being roofless, derelict, and in some cases the external walls were in a collapsed state. In part this reflected a further reduction in the population of the island when numbers had dwindled to levels that were dangerously low for Canna to be sustainable. As the more elderly inhabitants died, some of the crofthouses were abandoned and used as stores, and crofts would often be amalgamated or left uncultivated. The refusal by the Government to enact legislation similar to that of 1919, regarding the resettlement of those who had returned from serving in a world war had caused disappointment after 1945. John had seen this as an opportunity to revitalise the life of the islands from the creation of new crofts. 3.6.7 Improvements to the infrastructure of the islands consisted of potable water supplies being laid in 1953 to each of the dwellings on the islands, which eased the burden of having to rely on drawing water from the standpipes at the wells, shown on historic Ordnance Survey maps. Electric generators had been installed a couple of years previously, to provide electricity and replace the old gas mantles, and were later replaced by noisy diesel engines. Sanitation within the houses was also introduced. Field drainage systems were installed, and additional fencing erected. John Lorne Campbell, as John MacLean and Robert Thom before him, was acutely aware of the importance of the communications and transport links to the islands. He campaigned tirelessly for improved facilities, occasionally to good effect. In 1964 the ferry links with the West Coast ports of the Scottish mainland were reduced and confined to Mallaig, while the extension of the service to the Outer Isles was scrapped, much to the loud protestation of those on Canna. When Caledonian MacBrayne was considering introducing a bigger ferry boat to serve the Small Isles to ease the transportation of cattle and sheep, John felt obliged to make by far the greatest capital investment on the island of his tenure when he expanded the pier in 1971, in fear of losing this vital link altogether. The work was undertaken without financial assistance from the public purse, and was executed in concrete at a cost of £35,000. The improvement had the further advantage of permitting a prefabricated kit-house to be delivered and erected on Canna in the same year, of which more is mentioned below. Telephone links between Canna and the mainland had been primitive in the extreme for decades, and only improved in 1966 with the installation of the radio link system. The small building erected at Coroghon to house the operating gear appears as a standard GPO structure of the time with little regard for its island location; on the approach to the dangerous track leading to the head of the rock stack where the remains of the castle are perched, it sits ill in a location which is otherwise largely unspoilt. It is curious that, for someone who nurtured Canna and cherished it in the way that he did, John Lorne Campbell should have exhibited a pronounced lack of visual awareness when it came to erecting the prefabricated kit-houses on the islands, the first of which appeared in 1971. This house was named Caslum after the field in which it stood, and was erected for a newly appointed shepherd. It is clear from the thinking at the time that the intention had been that the house could offer a modern retirement home to John and Margaret at some stage in the future. As there were several redundant houses on the islands capable of being refurbished, the decision to build a new house may well have been prompted by this consideration. The new house was sited prominently on the raised beach to the west of the mains farm at the Square, and while it had the potential for outstanding views over the harbour, and to the open sea to the west, the layout of the house failed to exploit them. In every possible respect it appears an alien feature within the soft island landscape – it was far too prominent, and displayed no regard to the building traditions of the island. The form and appearance of the house suggest that cost had been a factor in determining the procurement of the dwelling, as it had been built for the sum of £12,000. By 1980 the occupant for whom it had been provided left Canna, a recurring problem of short term occupation among those who arrive to supplement the numbers of the community from outside the island, and a problem which has persisted up to the present time. Two new houses were built on Sanday. While suffering from some of the problems identified above, they at least have the virtue of being significantly less prominent from careful siting, nestling down within hollows within the landscape where they are protected from the prevailing winds. Burnside, the house built by Angus Mackinnon in 1973-4 as his crofthouse improvement, although a long house is less bulky, benefiting from significantly narrower gables and a slightly steeper roof pitch. Less well known perhaps than many of the structures on Canna is the small summerhouse which John procured as a surprise gift for Margaret. With good views over the harbour, it sits within a secluded woodland site on the northern boundary of the field on the higher ground to the east of Tighard, a short walk up the path cut into the bank from Canna House, where a stone bench inserted in the face of the rock by Robert Thom provides a place for the weary to rest at the halfway point of the climb. Exposed to the extremes of the Atlantic weather systems, the gaunt structure of St Edward’s became too expensive a monument for the Roman Catholic Diocese of Argyll and the Isles to maintain. It was de-consecrated in the early 1960s, and ceased thereafter as a place of worship. To keep the tradition of worship alive on the Canna, the former Post Office building was converted into a chapel, which John Lorne Campbell had to describe as a ‘semi-private oratory’ to overcome the objections of the diocese. At the southern end of the bridge leading to Sanday, an enigmatic shrine to the Blessed Virgin Mary catches the eye with its simple and direct form, and bright white paint. Housing an inspired piece of modern stained glass which comes to life in the strong light from the sea horizon to the west, to the unwary visitor it is a timely reminder of the historical significance of religion to these islands. High levels of expenditure on the infrastructure of the island after the building of the extension to the pier, and from the erection of the new house for the shepherd, caused John to reconsider the overtures to the National Trust for Scotland over the acquisition of the islands which had been mooted first back in the 1950s. 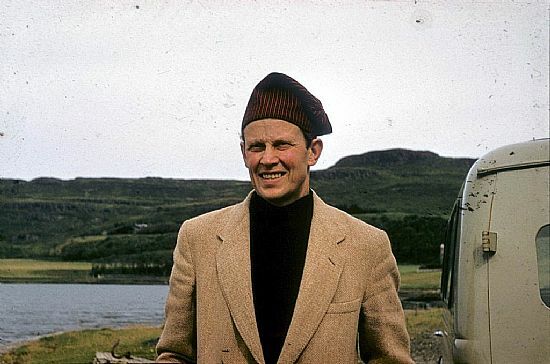 In 1973 he reopened negotiations, citing the difficulties encountered by a private landowner in running a remote Hebridean island he complained about the high cost of engaging mainland contractors for the essential repairs that were needed constantly. Negotiations dragged on over a number of years, until in 1980 the intention of the National Trust for Scotland to purchase Canna was announced, subject to raising the necessary funds. In 1945 John had acquired the entire Gaelic library of a distinguished Oxford scholar, and made it a condition of his gift of the island to the nation that this should not be removed from Canna. The same condition was attached to the grant of an endowment fund by the NHMF in 1981. This bequest evolved into the vision of establishing a Centre of Advanced Studies for the island which John developed in conjunction with the NTS in his twilight years. His wishes fullfilled John Lorne Campbell, "Fear Chanaidh" left an Island held inalienably in the care of the National Trust for Scotland for the benefit of the Nation to enjoy.